Beverley Gate, Hull, c.1642. Image render by Hannah Rice. The stately home of Burton Agnes Hall and its grounds are one of the favourite places from my childhood, particularly with myself having ancestors from the village, Burton Agnes. 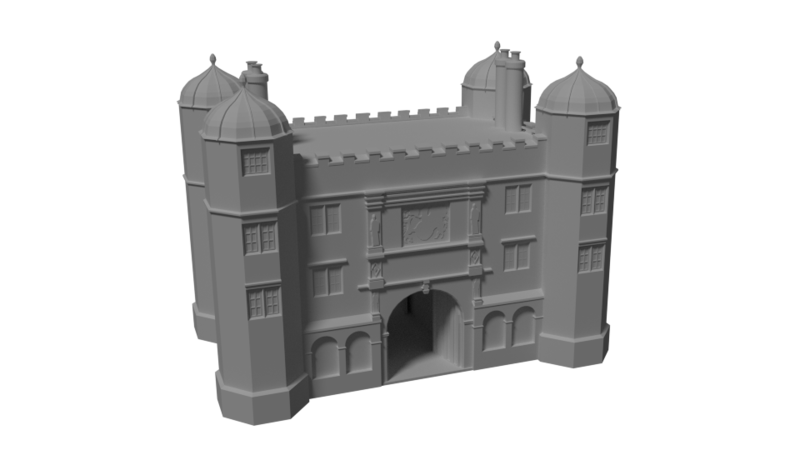 The gatehouse is particularly striking as a work of architecture so I had a go at interpreting my own photographs of the gatehouse to create a 3D model in Blender. The building was constructed in c.1610 by the English architect Robert Smythson, well known for his work during the Elizabethan era such as Hardwick Hall and Wollaton Hall. It features many architectural forms which are typical of this period, including the battlements and ogee-shaped roofing. Have a look at Historic England’s entry in the National Heritage List for England for this gatehouse. 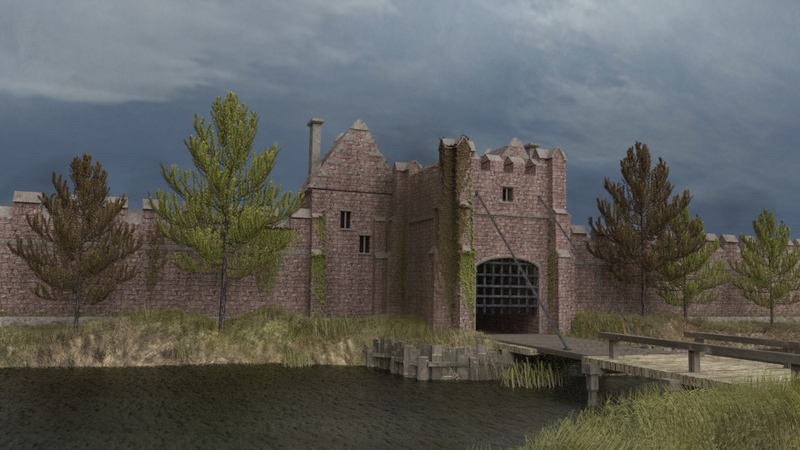 I intentionally omitted the walls which extend from the gatehouse as I wanted to focus on the gatehouse structure itself, and similarly I also removed visitor signage. The model did not take as long to model as expected due to the symmetrical nature of the architecture-the mirror modifier tool was very useful! Hotham House, Beverley, East Yorkshire by Hannah Rice. Orthographic model overlay on the original Architectural Design by Colen Campbell in Vitruvius Britannicus, 1715. 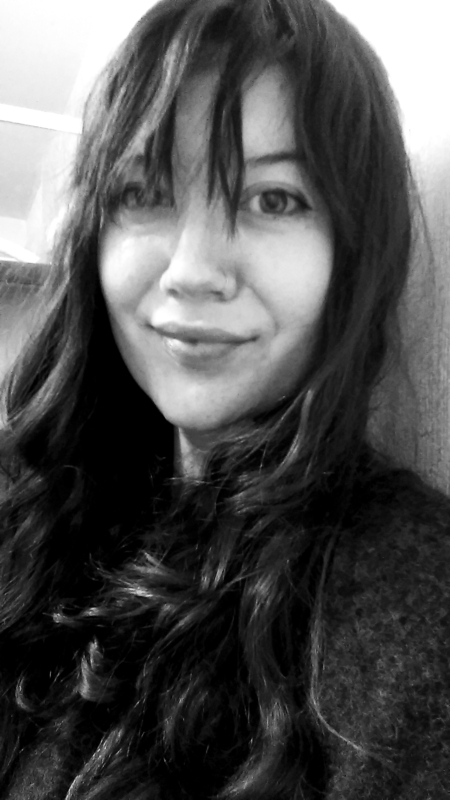 Copyright: Hannah Rice. As the Hotham house in Beverley, East Yorkshire was demolished over 200 years ago I thought I would carry out some 3D visualisation work on what the building may have looked like in the 18th Century based on the 1715 architectural design. You may have heard of Sir John Hotham (1st Baronet), who in 1642 refused Charles I of England entry to Kingston Upon Hull, and as a result, contributing to the beginnings of the English Civil War. 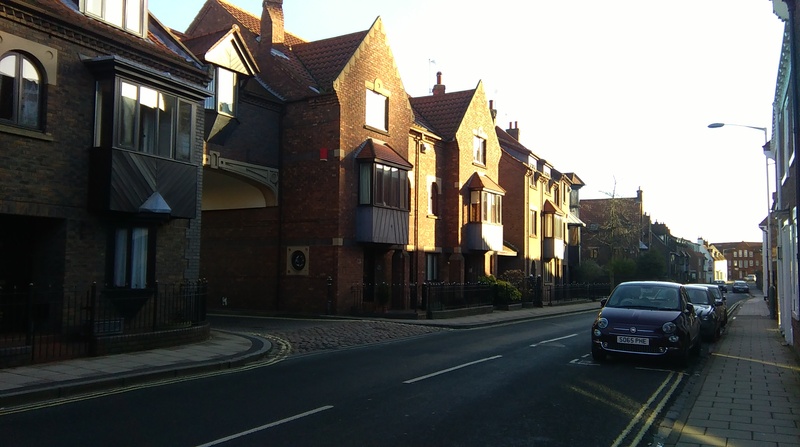 Over half a century later a member of his extended family, Charles Hotham (4th Baronet), built a grand classical house down Eastgate in the nearby town of Beverley. It was designed by the renowned Georgian architect Colen Campbell who is credited as the founder of the style. Hotham purchased and demolished several properties down the East side of Eastgate to build his new home (East Riding Archives DDBC/16/67). 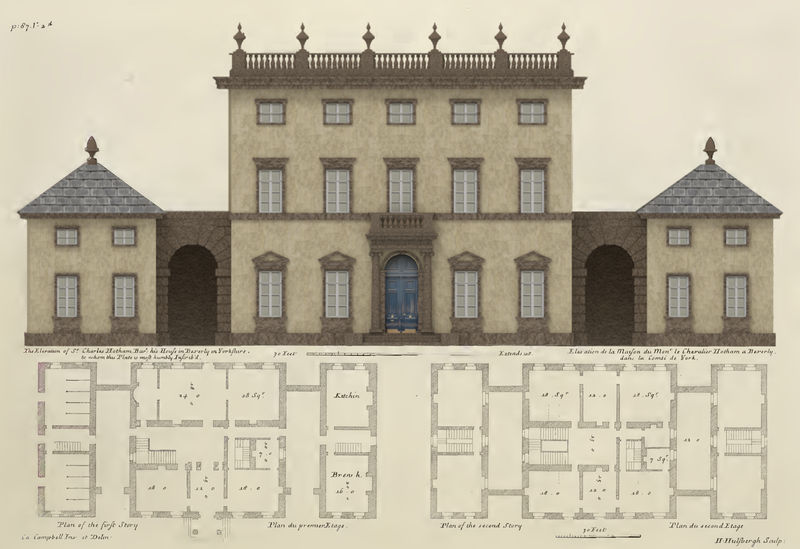 Built between 1716-1721, the neo-Palladian house was intended to be a family home yet the house remained empty after Charles’ death in January 1723 and was demolished after 50 years. 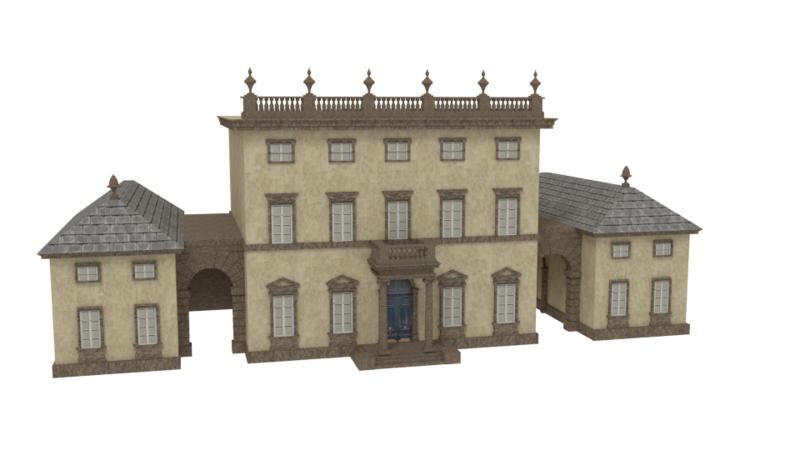 Creating the Model in Blender: I modelled the front facade of the Hotham house with as much accuracy to Colen Campbell’s elevation drawing in his published work Vitruvius Britannicus (1715). As with most visualisation works, some interpretation had to be made when thinking about the window styles, doorway and material colour. Campbell does not make clear which building materials were used. Records show that Hotham purchased local red bricks for the building (Hull University Archives, DDHO/15/4) yet Campbell’s design is absent of brickwork. I decided to texture the facade with a stucco-material as this possibly would have been applied on top of the brick surface. Stucco is also a key characteristic of classical architecture. 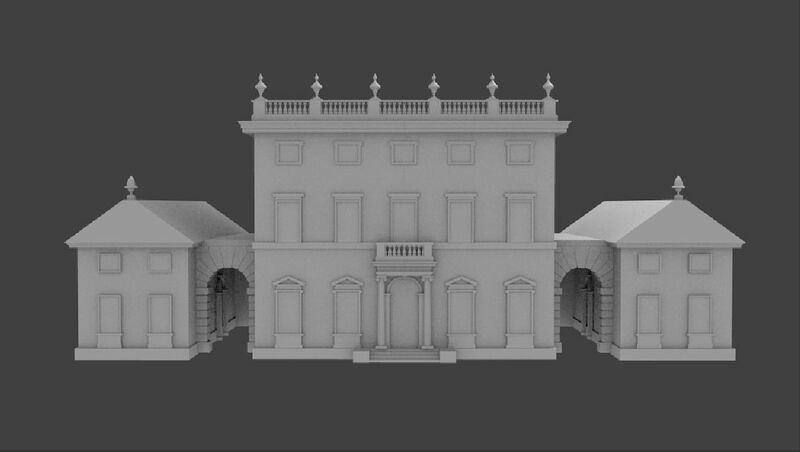 The symmetrical nature of neo-Palladian architecture meant that Blender’s mirror modifier tool came in handy, saving a lot of modelling time! 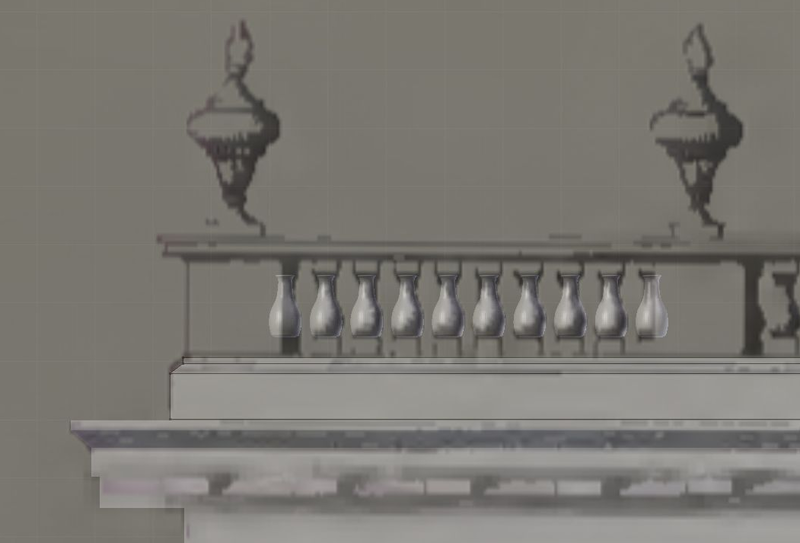 It would have been useful if Campbell had drawn side elevations, so to interpret the scale of the side facades I used the accompanying ground plan to model an appropriate measurement based on proportions. William Burrow’s 1747 map of Beverley shows the Eastgate location of the house fronted by a possible semicircular courtyard. Modelling the surrounding gardens and wider environment would be the next challenge to progress this model. This brings to light new questions relating to what the surrounding 18th-century Beverley landscape looked like, research into the garden design of the house and whether to populate the visualisation with people. 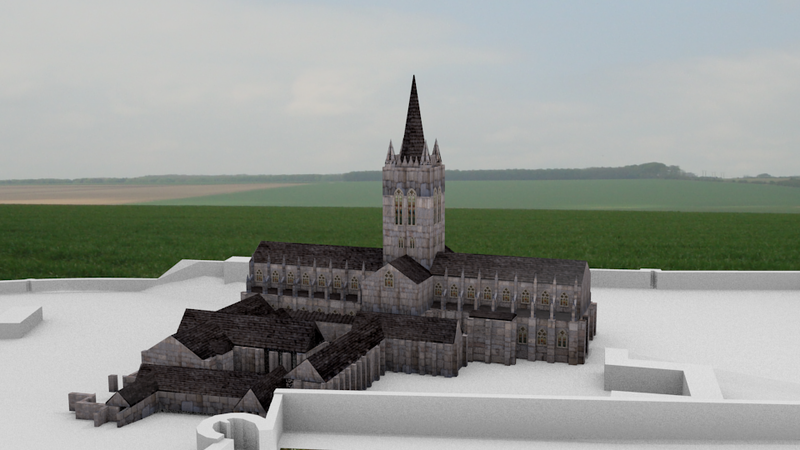 Just an update on my pre-dissolution visualisation of St Mary’s Abbey (York)! 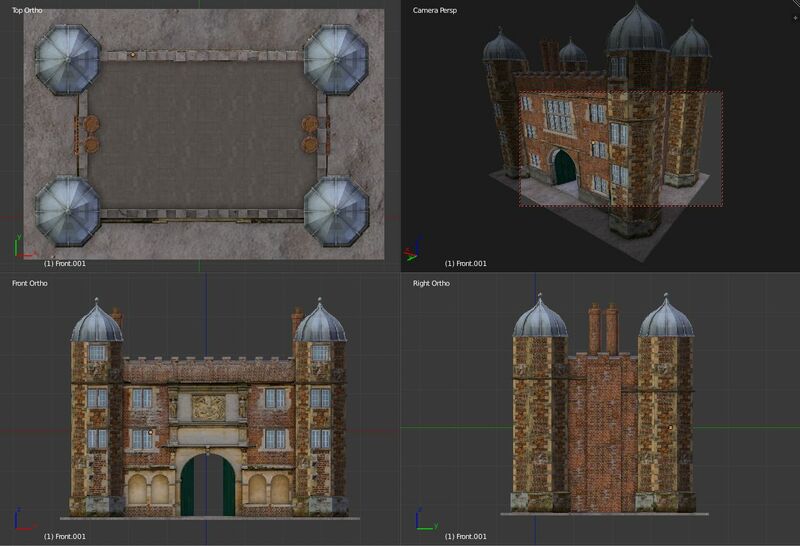 I have not posted in a while as I have been spending a lot of my time on this project, but from the screenshot you can see I have made a lot more progress since my last post, and I have started trialling out textures and adding some of the more intricate gothic features. I’m currently using free textures from texturer.com but will later take some photos of the abbey ruins itself in the York Museum Gardens as to use the actual stone as the abbey stonework for the final model render. The current background photo was taken in Swanland, East Yorkshire, as a basic representation of countryside. This will be useful for when rendering a natural light on the scene. One aspect of modelling the abbey I found particularly difficult was the tracery windows. I originally began modelling the windows by subdividing edges and translating vertices across a window plan (taken from Ridsdale’s artist impression) however I decided that this was a problematic long route around something that could be done in a few clicks. I then tried a quicker different method, the boolean modifier tool, which turned out very well as it “cookie-cut” geometry from the window mesh. This saved me half the time and made the quatrefoils and lancets much neater shapes than had I been creating the curves myself. 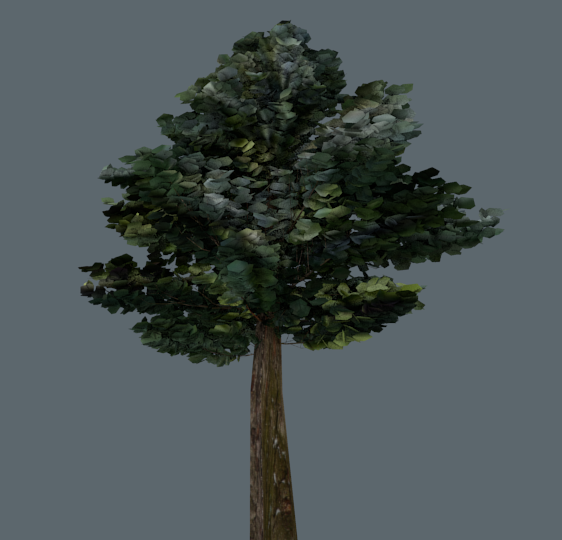 I am currently also in the progress of modelling some general natural scenery, such as trees using the sapling add-on, which will decorate the abbey grounds. I will make these as random as possible, and will use a variety of leaf textures. I still have a long way to go whilst keeping an eye on the polygon count! Features still to model on the abbey buildings are rose windows, windows for the other buildings in the complex, alcoves, buttresses and portal decoration. I will also need to find a suitable grass texture for the grounds, and will look into how I’m going to represent the River Ouse.